Low Interest Rates in Newport Beach, Ca. Patty has over 22 years experience in both mortgage banking and brokering and is committed to the highest level of service. She is dedicated to researching all mortgage financing options for her clients and educating them about mortgage financing, finding the best mortgage options for them, and providing pre-qualifications and loan approvals on time. Buying a home is the largest and most important investment an individual makes in a lifetime and I take that seriously. 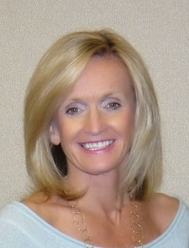 Patty serves all of California with an emphasis on high end loans throughout Orange County and Los Angeles County. Based in Newport Beach, I specialize in Newport Beach, Newport Coast, Laguna Beach, Laguna Niguel, Monarch Beach, Dana Point, San Clemente, Huntington Harbor, Irvine, and San Juan Capistrano. Trying to find the right buyer? Well did you think about this.. When properties are listed we all get stuck on the listed sales price, throughout the selling process. Well did you think that possibly that buyer who comes along with good credit but is having difficulty qualifying, due to either low funds to close or the interest rate is preventing the buyer from qualifying, that there could be a way to get a signed contract into escrow. Think about approaching your seller to pay a credit to buy the rate down for the buyer rather than lowering the price of the home. "Seller rate buydown." This helps the buyer qualify. Lenders have no problem with the seller helping out. Talking to the buyer's agent and understanding the needs of the buyer, when there is a "stalemate" in the process, will get you further than just being a listening ear. It could mean a very happy buyer and seller when we stop to understand what is really going on.